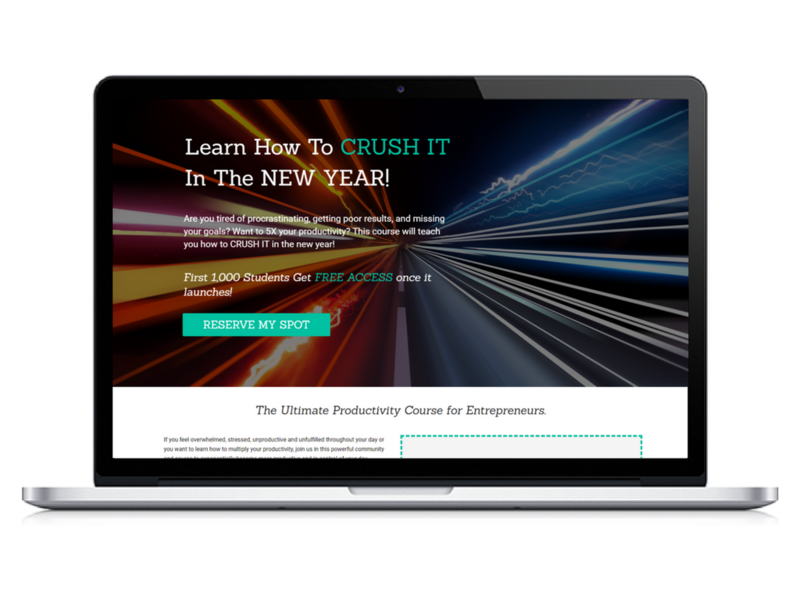 The Ultimate Productivity Course for Entrepreneurs. If you feel overwhelmed, stressed, unproductive and unfulfilled throughout your day or you want to learn how to multiply your productivity, join us in this powerful community and course to exponentially become more productive and in control of your day. Landing Page Development with interactive pop up features to capture name and email of potential students.